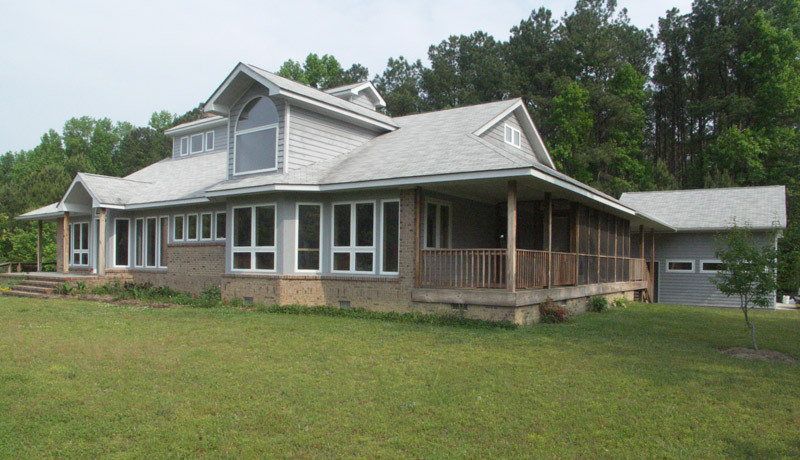 Built from early version of Debra Rucker Coleman’s SunPlans book of solar designs. Home was built on an open site so the porches on both east and west provide vital shading for the interior of the house. Daylighting through upper clearstories keeps the home full of light all year long. 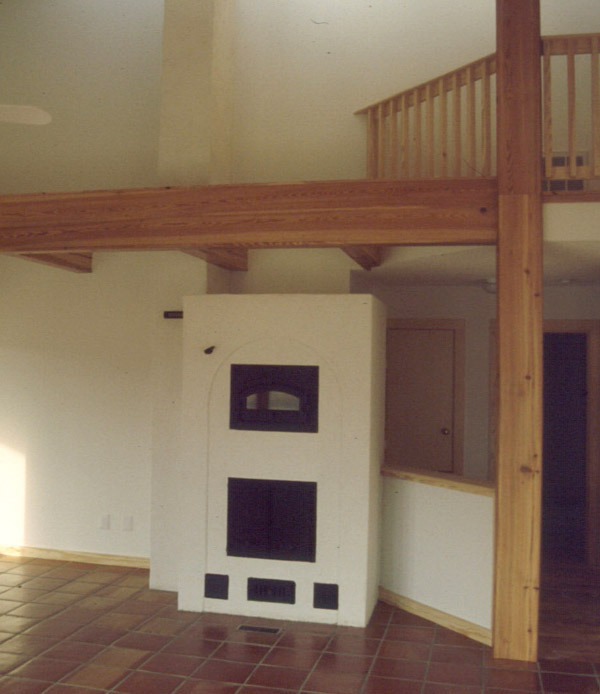 Home has extensive use of heart pine, and a masonry fireplace.